It can be hard to know whether repairing or replacing your fence is the right choice. It can be hard to know whether repairing or replacing your fence is the right choice. This largely depends on your needs, wants, budget, and the condition of your fence. While repainting or repairing a fence is often cheaper in the short term, if your fence is on its way out and will require almost constant repair, it may be a better option to just get a new one. 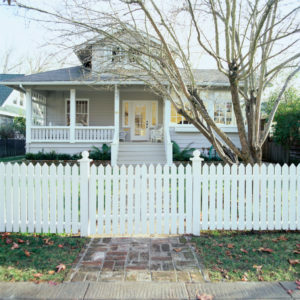 Read on to learn more about signs you need to replace your fence or just repair it. Some common fence problems can be fixed with simple repairs. Wood fences are made of a natural material, so they can be more prone to issues, but are usually easy to repair. Insects, moisture, and other environmental factors can cause fading, warping, and splintering. These issues are easily fixed, and generally, do not require complete replacement. Vinyl fences are virtually maintenance free but can crack under extreme weight or impact. If you notice only a few cracked vinyl fence posts, replace these and leave the rest of your fence alone. Aluminum fence posts can also be affected by high impact, and can even move when the soil around them begins to erode. Some aluminum fence repair is not DIY-friendly and will require the skill of a welder. If you are unsure whether you will be able to repair your fence by yourself, consult the experts at Hercules Fence! If you find repair options to be daunting, replacement is always an option. There are times where the amount of money, time, and effort required to keep up your old fence would make a brand new one a better option. A good guideline to consider is the 20% rule. If more than 20% of your fence is in dire condition or in need of substantial repairs, it is probably time to start considering new fence options. Aside from damage, if you find you need more privacy, your fence doesn’t contain your dog, or its style doesn’t suit your property, you might want to consider replacing it. Your fence should meet your needs, and if it doesn’t, it is time to have one installed that does. This entry was posted on Friday, January 12th, 2018 at 12:26 am. Both comments and pings are currently closed.